Synopsis: Leon is nine, and has a perfect baby brother called Jake. They have gone to live with Maureen, who has fuzzy red hair like a halo, and a belly like Father Christmas. But the adults are speaking in low voices, and wearing Pretend faces. They are threatening to take Jake away and give him to strangers. Because Jake is white and Leon is not. It’s been a while since I’ve read a book about adoption/fostering, and I was a little apprehensive as it’s been so long. But I actually really enjoyed this one! The plot…is steady, easy to follow and flows very well. The characters…are touching. I loved Leon – and that the book was from his POV. His tender love for his family runs throughout this novel and it shines through to make this book what it is. The writing…is amazing! I know I would struggle to write from a child’s viewpoint, but Kit De Waal really pulls it off. Something I liked…this book…it really makes you feel for the characters. They are young, and therefore I felt so much sympathy for them – more I think than if it was in the POV of an adult. Something I disliked…nothing in specific! 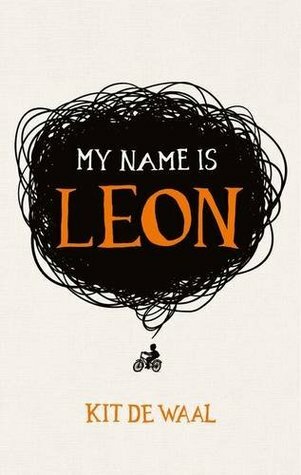 My thoughts…My Name Is Leon gives you everything you could ever want from a book. It’s emotional, extremely touching and it makes you think. I’d definitely recommend it!